The price of gold has surged 13 percent -- its biggest gain in more than a year -- from a late-June low of $1,211.60 as recent signals from the U.S. central bank of continued money-printing hold down the value of the dollar and the recently depressed price sparks Asian bargain-hunting. The yellow metal's July bounce may continue, vindicating the small number of bullish forecasters still keeping faith with the precious metal, or the slide that began in late October could resume, vindicating the many sell-side analysts working for giant investment banks who are happy to see gold get what they see as well-deserved comeuppance. Here's what's happened. From its Oct. 4, 2012, price of $1,804.50 per troy ounce the gold price had, by June 28, fallen to $1,180, a more than one-third plunge in its value. Investors in such popular exchange-traded funds as SPDR Gold Trust and iShares Gold Trust couldn't exit quickly enough. But since June 28, the price of gold has been clawing its way back, and Monday in New York trading it climbed to $1,336.10, a 13 percent gain. The case for a long-term bullish view of the gold price rests on two developments. Supplies are tightening. Rio Tinto said its second-quarter 2013 gold production was down 19 percent from the year-earlier level. And in a preliminary report AngloGold Ashanti, the world's third-largest producer, said it was cutting its full-year production guidance to a range of 4 million ounces to 4.1 million ounces from the previous range of 4.1 million ounces to 4.4 million ounces. Central banks are holding on to their gold rather than selling it. 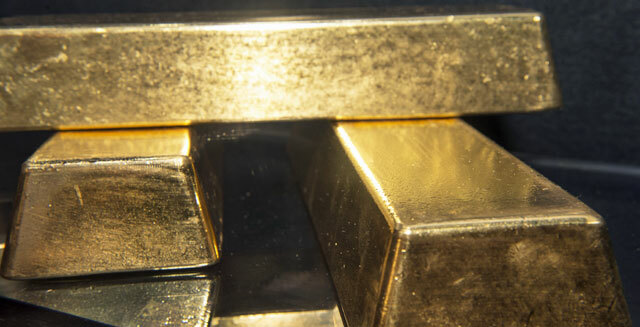 Russia said that in June its supply of gold was unchanged, and the latest report from the European Central Bank noted that for a second week gold reserves remained unchanged. Besides the tightening supplies, the case for a long-term bullish view of the gold price also depends on demand for physical gold -- not the once-popular gold exchange-traded funds -- increasing. Indians, who comprise the world's largest group of gold buyers, are buying more, and as the price has fallen there has been increased demand in China. The volume of business on the Shanghai Gold Exchange last month rose more than 25 percent, year over year. Even Americans are buying physical gold: the U.S. Mint says gold coin sales popped to 46,000 ounces so far in July, already one-third higher than in July of last year. So far this year, gold coin sales by the Mint have reached 836,500 ounces compared with 832,000 ounces for all of 2012. Both developments, tightening supply and increased demand for physical gold, have nothing directly to do with what is happening in non-physical markets. "There are really two markets in gold," noted emerging markets investor Mark Mobius of Franklin Templeton Investments told the Financial Post on Friday. "There is the market price, and there is real demand. Market price is influenced by derivatives, by short sellers, by all kinds of actions by traders who are not taking physical delivery. "My personal opinion is, this big downturn we've seen is an aberration and you'll probably see a return to the long-term growth trend of gold. But in the short term, there's going to be a lot of pain, basically prices coming down and looking like they're not going to stop coming down. But at the end of the day, the demand is there and supply is limited. The cost of mining is not going down, but going up. So I would say I'm reasonably bullish on gold." There are, moreover, two market trends that augur well for gold. The U.S. Commodities Futures Trading Commission says that the net speculative long position on physical bullion has wound down to the level of 2001, when gold was selling for $330. In other words, gold is looking more and more oversold. Secondly, data released by Comex on Friday revealed that gross speculative short positions -- bets that gold's price will decline -- fell from the all-time high set the week before and "indicated perhaps that the negative bullion sentiment may be waning," HSBC gold analyst James Steele said. Economic and industry reports that show a weakening U.S. economy, one that will do well to average 2 percent GDP growth this year, are also expected to help gold because of the perception that weakness just delays the winding down of the Federal Reserve's money-printing. Any continuation in the gold price rally will face obstacles. The head of the All India Gems & Jewelry Trade Federation said India's gold imports may drop to 175,000 tons in the second half of this year because of the nation's central bank recent moves to restrict gold imports. Such a drop would contrast sharply with the 478,000 tons of gold India imported in 2012.